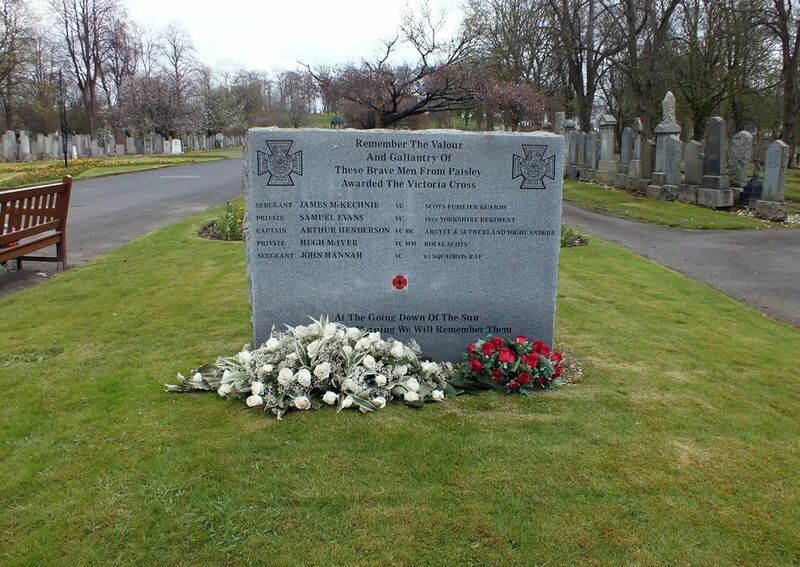 About eighty people gathered in Glasgow's Eastern Necropolis in on Wednesday, 11th April 2007, to witness the laying of a turfstone over the previously unmarked grave of Sergeant James McKechnie VC. The regimental padre of the Scots Guards led the dedication service and paid tribute to Sergeant McKechnie who was born in Paisley in 1826. Members of the Scots Guards Association Club, serving members of the regiment and representatives from the Royal British Legion Scotland also attended the ceremony. The first major battle that took place during the Crimean War (1854-56) was the Battle of the Alma on 20th September 1854. The Allies decided to launch a pincer movement against the Russians. The French were to advance along the sea shore on the right flank before scaling the cliffs and capturing the heights. The British were to advance on the centre and left flank. The British troops were deployed into a long line, two deep across a two-mile front, and crossed the river Alma under heavy fire, encountering on the far side, steep rocky ground leading up to the Heights occupied by the Russians. During the battle two of the strangest incidents took place. After the British had attained the Great Redoubt, suffering appalling casualties, the Russians counter attacked. At this point a wild-eyed staff officer galloped along the line shouting 'Don't fire! For God's sake, The column's French!' The officer was not recognised nor has he been substantiated since. He then rode up to the bugler of the 19th Regiment and ordered him to sound the Cease Fire, and then ordered another bugler to sound Retire, which was taken up by other buglers. Later, after the Russians had recaptured the Great Redoubt, the Russians advanced down the slope encountering a thin line containing the remnants of the 23rd Royal Welch Fusiliers and 7th Royal Fusiliers, and men from other regiments who had taken part in the initial assault. The Grenadier and Coldstream Guards were emerging from the river along with the Scots Fusilier Guards who moved forward up the slope first. At his point the mysterious galloping staff officer put in a second appearance. There was a shout of 'Retire! Fusiliers, retire!' This could have applied to the 23rd, or the 7th or the Scots Fusilier Guards. The 23rd took it to apply to themselves and hurriedly withdrew through the ranks of the Scots Fusilier Guards, knocking over several men in the process. The latter were also suffering their first casualties and during the confusion the Queen's Colour went down, its pole smashed and the silk shot through. It was at this point that Sergeant James McKechnie earned his Victoria Cross. Brandishing his revolver, McKechnie dashed forward to retrieve the Colours, rallying his men around it despite receiving a wound in the process. Calling out 'By the centre, Scots, by the centre, look to the colours and march by them.' he thereby kept order in the regiment. Following the successful conclusion of the battle, three other officers and men of the Scots Fusilier Guards were awarded the Victoria Cross for their heroic actions during the day - Captain Robert Lindsay, Sergeant John Knox and Private William Reynolds. [London Gazette, 24 February 1857], River Alma, Crimea, 20 September 1854, Sergeant James McKechnie, Scots (Fusilier) Guards. James McKechnie was invested with his Victoria Cross by Queen Victoria in Hyde Park on 26 June 1857. 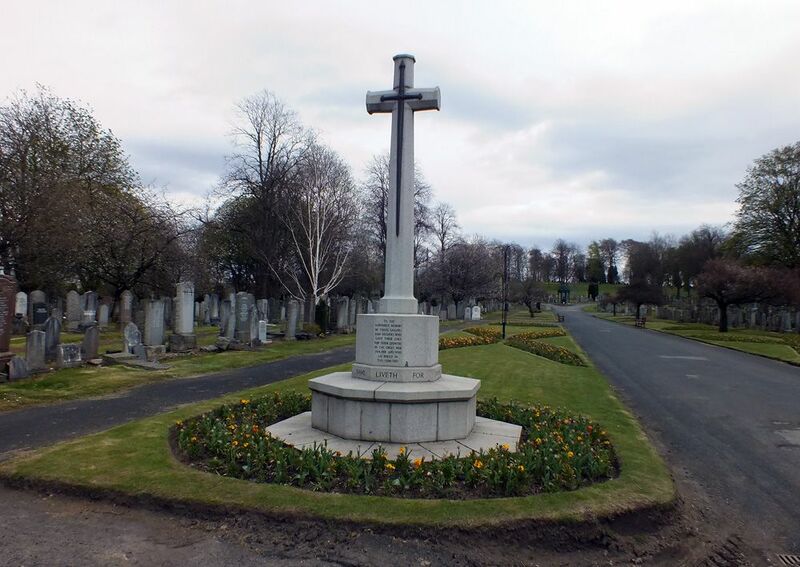 Little is known of the post-military life of James McKechnie other than he died in Glasgow on 5th July 1886, aged sixty, and was buried in a pauper's grave in the city's Eastern Necropolis. Crimean War: For repeatedly volunteering for duties of a hazardous nature in the trenches before Sevastopol on 13th April 1855. In particular, Private Evans led a small party which repaired an embrasure at a very exposed part of the line, under heavy and continuous fire. 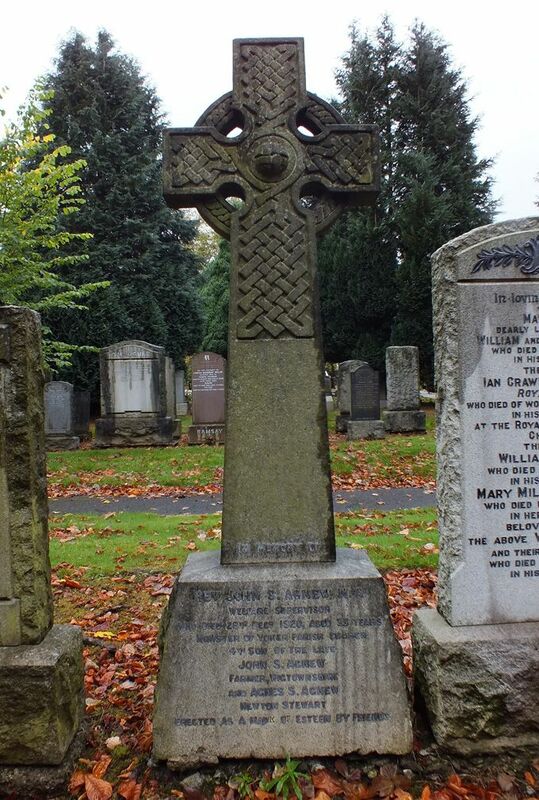 He was born in Paisley, Renfrewshire and was buried in Piershill Cemetery, Portobello Road, Edinburgh. 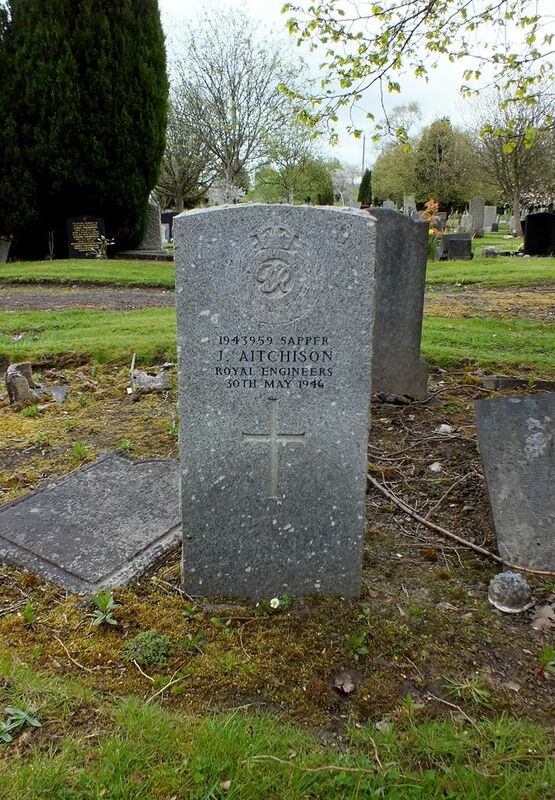 Henderson was born 6 May 1893 to George Henderson OBE, a Magistrate of Paisley, and Elizabeth Purdie. 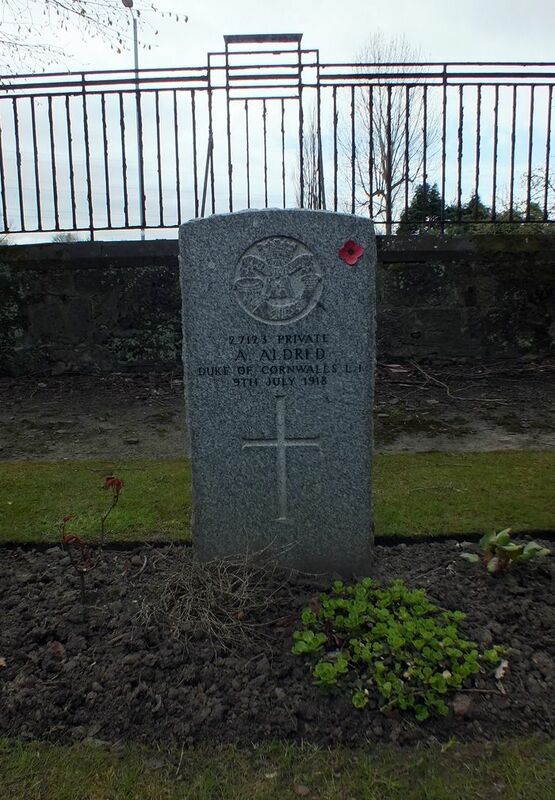 He was 23 years old, and an Acting Captain in the 4th Battalion, The Argyll and Sutherland Highlanders (Princess Louise's), British Army, attached to 2nd Battalion during the First World War. On 23 April 1917 near Fontaine-les-Croisilles, France, he performed the deed for which he was awarded the Victoria Cross. He died the following day. Additional Information: Son of the late George Henderson, O.B.E., of Egnal, Paisley, a Magistrate of Paisley, and Elizabeth Purdie or Henderson. An extract from "The London Gazette," No. 30167, dated 3rd July, 1917, records the following:-"For most conspicuous bravery. During an attack on the enemy trenches this officer, although almost immediately wounded in the left arm, led his Company through the front enemy line until he gained his final objective. He then proceeded to consolidate his position, which, owing to heavy gun and machine gun fire and bombing attacks, was in danger of being isolated. By his cheerful courage and coolness he was enabled to maintain the spirit of his men under most trying conditions. Captain Henderson was killed after he had successfully accomplished his task." Captain Henderson was killed after he had successfully accomplished his task. Regiment/Service: Royal Scots, "B" Coy. 2nd Bn. Grave Reference: I. A. 19. 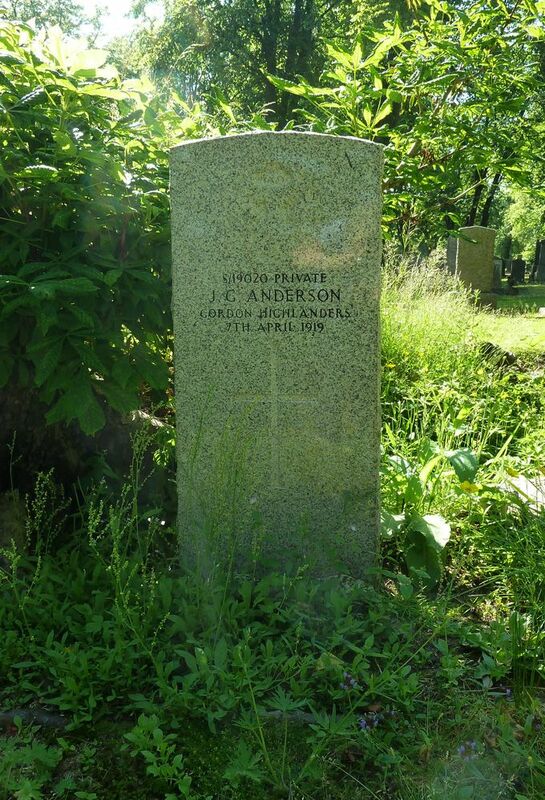 Additional Information: Son of Hugh and Mary McIver, of 34, Dunlop St., Newton Hallside, Glasgow. Native of Linwood, Paisley. An extract from "The London Gazette," No. 31012, dated 12th Nov., 1918, records the following:-"For most conspicuous bravery and devotion to duty when employed as a company runner. In spite of heavy artillery and machine-gun fire he carried messages regardless of his own safety. Single-handed he pursued an enemy scout into a machine gun post and having killed six of the garrison captured twenty prisoners with two machine guns. This gallant action enabled the company to advance unchecked. Later he succeeded at great personal risk in stopping the fire of a British Tank which was directed in error against our own troops at close range. By this very gallant action Pte. McIver undoubtedly saved many lives." Additional Information: Son of James and E.V. Hannah; husband of Janet L. Hannah, of Birstall. The following details are given in the London Gazette of October 1st, 1940: On the night of September 15th, 1940, Sgt. 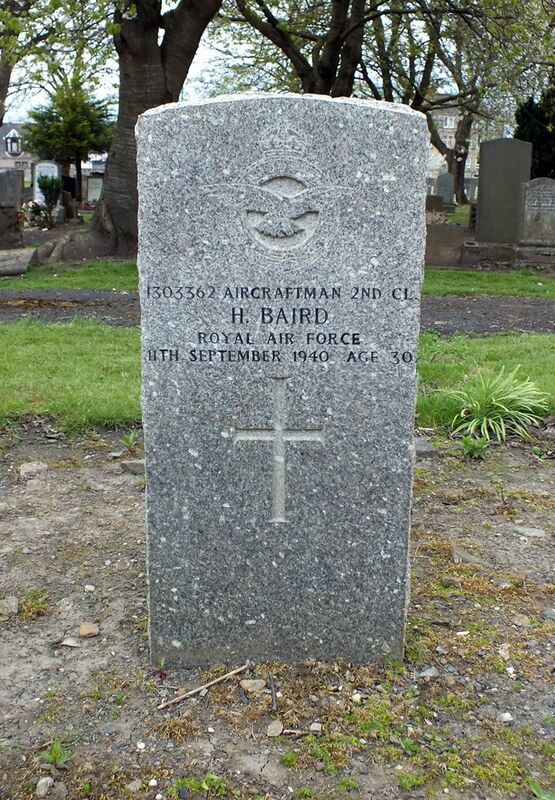 Hannah was the wireless operator/air gunner in an aircraft engaged in a successful attack on enemy barge concentrations at Antwerp. A direct hit from an explosive projectile, which burst inside the bomb compartment, started a fire which quickly enveloped the wireless operator and rear gunner cockpit while both port and starboard petrol tanks had been pierced, enhancing the danger. The rear gunner and the navigator had to leave the aircraft, and Sgt. Hannah could have done so too, but he remained to fight the fire with extinguishers, and when these were empty he beat at the flames with his log book. Despite some relief from his oxygen supply, the intense heat and fumes from the thousands of rounds of exploding ammunition almost blinded Sgt. Hannah and his face and eyes were badly burned. Nevertheless he succeeded in extinguishing the fire enabling the pilot to bring the aircraft safely to its base. This airman displayed courage, coolness and devotion to duty of the highest order. Grave Reference: Sec. P. Grave 1267. 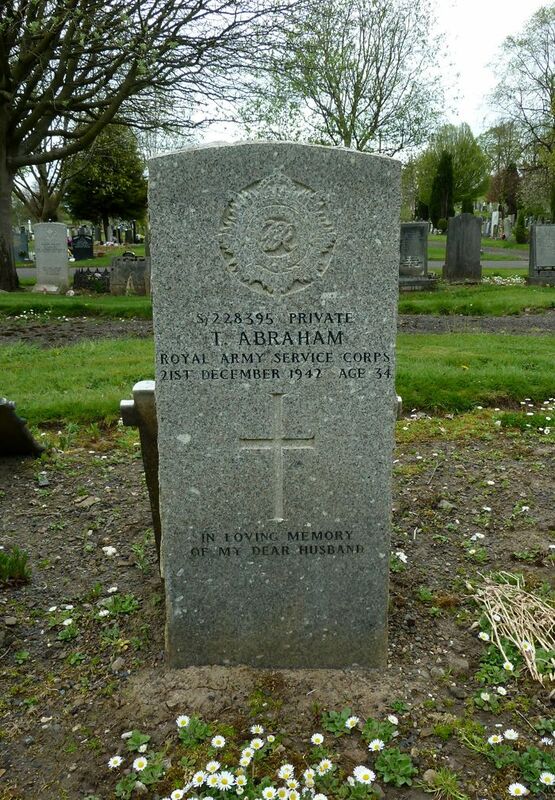 Additional Information: Son of John and Margaret Allen Abraham, of Paisley; husband of Jeanie Abraham, of Paisley. 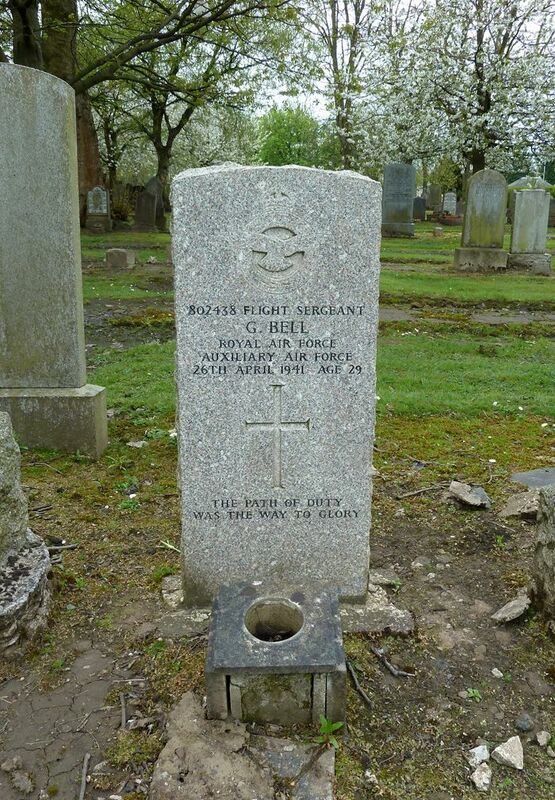 Regiment/Service: Argyll and Sutherland Highlanders 12th Bn. 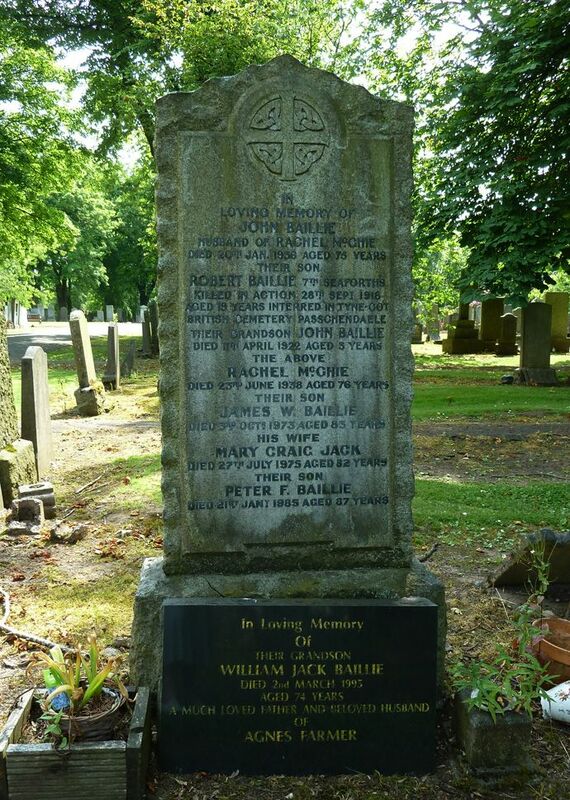 Additional Information: Son of William and Isabella Adam, of 150, George St., Paisley. Regiment/Service: Highland Light Infantry 2nd Bn. attd 1st/5th Bn. Grave Reference: Sec. P. Grave 536. Grave Reference: Sec. R. Grave 239. 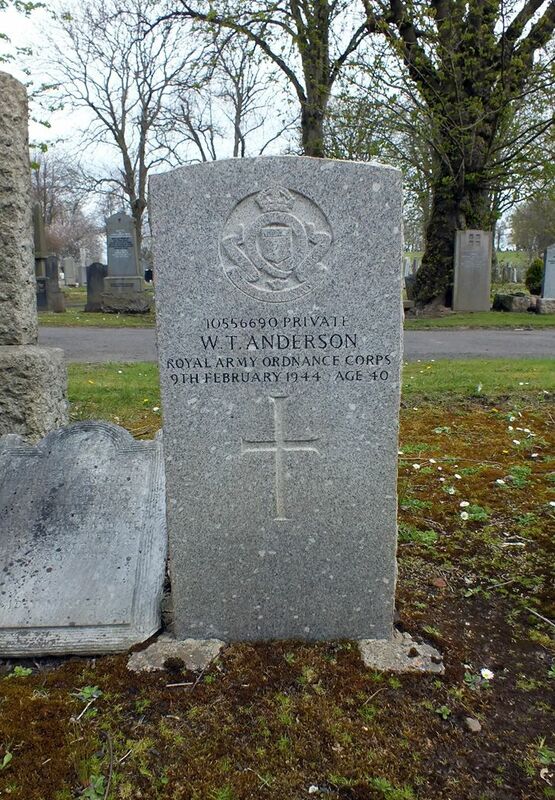 Additional Information: Son of William Anderson, and of Elizabeth Anderson (nee Hannah); husband of Annie McAulay Anderson, of Paisley. 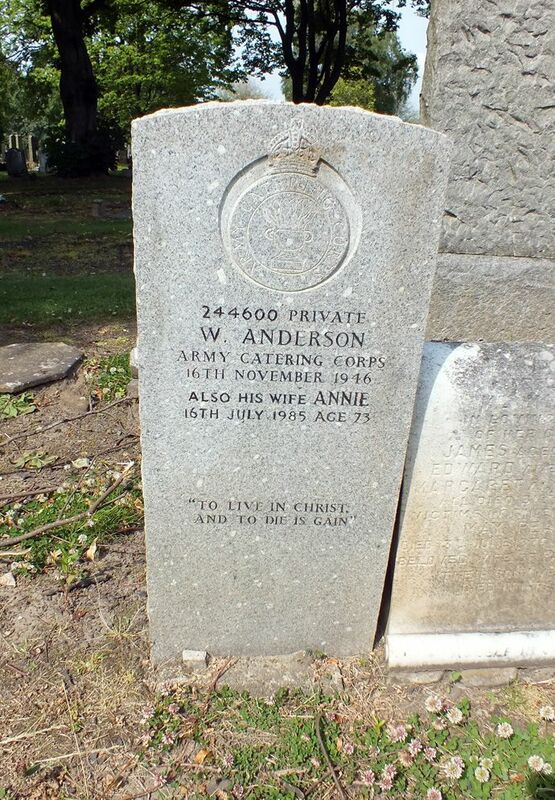 Additional Information: Husband of Elizabeth Anderson, of Paisley. Grave Reference: XXV. J. 14. Grave Reference: Sec. Q. Grave 1311. 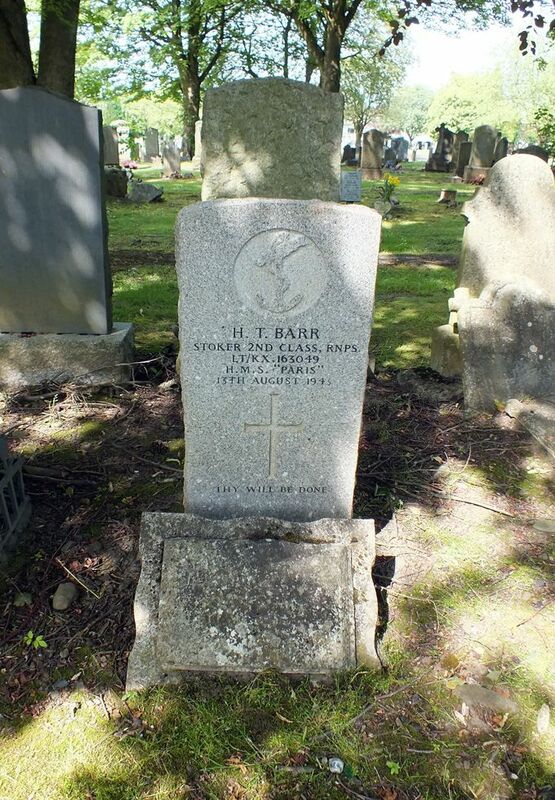 Additional Information: Son of Arthur M. Baird and Ann Baird, of Paisley; husband of Jean Adam Baird, of Paisley. A.L.C.M. Regiment/Service: Royal Naval Patrol Service H.M.S. Paris. Grave Reference: Sec. R. Grave 630. Regiment/Service: Royal Artillery, 179 Bty. 1 (M) A.A. "Z" Regt. Grave Reference: Sec. P. Grave 609. 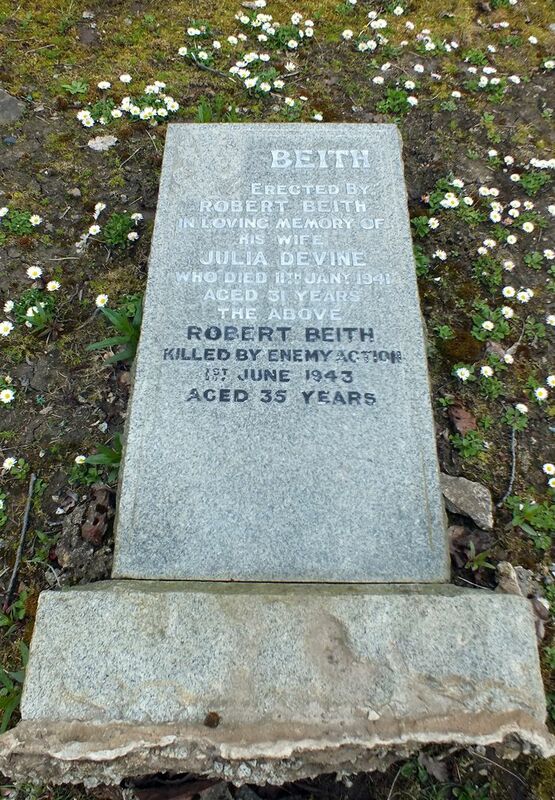 Additional Information: Son of George and Elizabeth Beith, of Paisley. Grave Reference: Sec. S. Grave 1222. 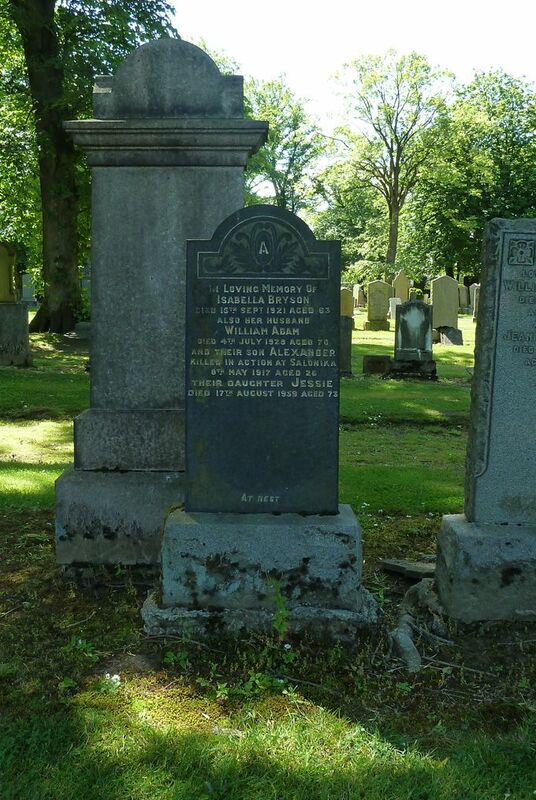 Additional Information: Son of Daniel and Charlotte Bell, of Paisley; husband of Mary Bell (nee Lawe), of Paisley.